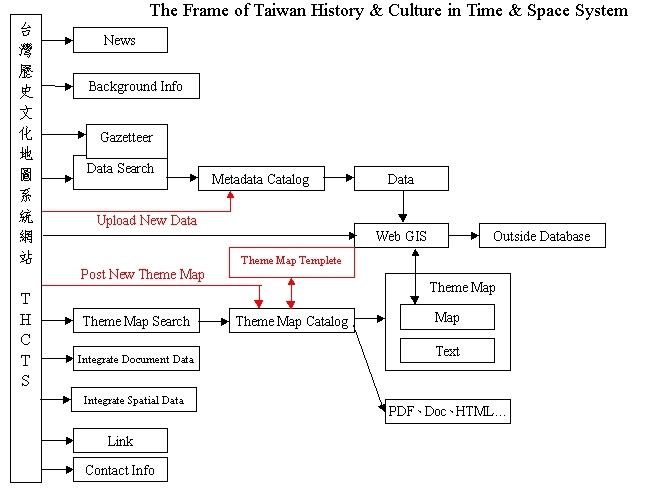 Space and time are the two most important elements that constitute changes in history, culture, and environment. 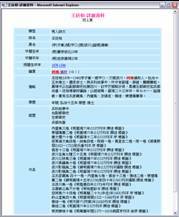 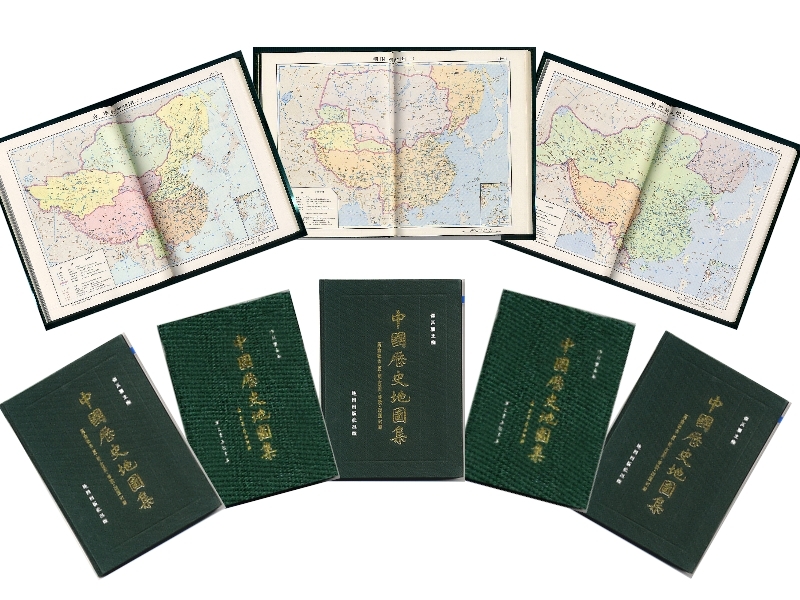 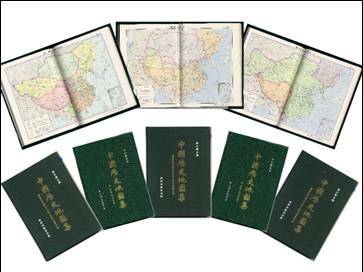 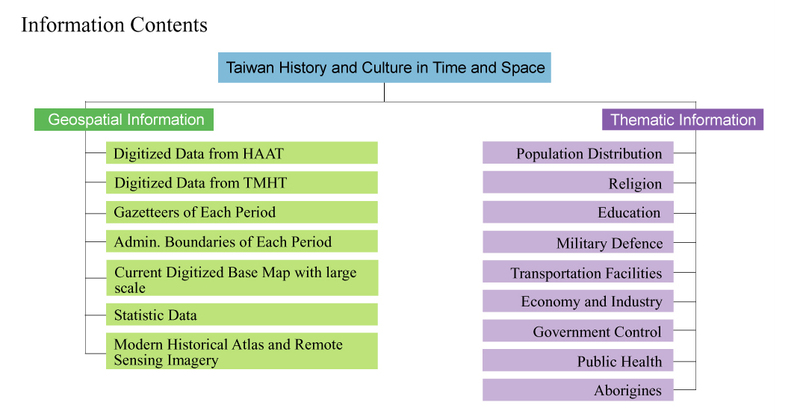 Before our projects, there was no adequate digital Chinese and Taiwanese history, culture and natural resources atlas which can serve as a comprehensive reference for scholars in Sinology studies. 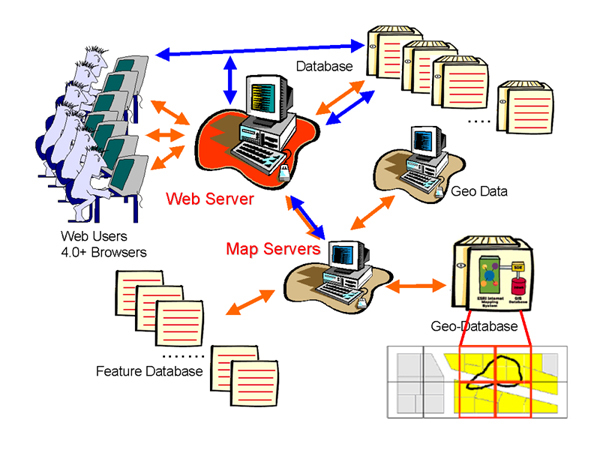 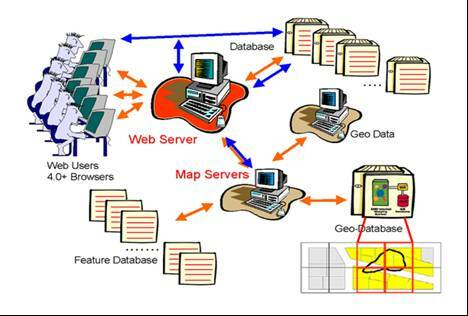 Through computer technology, traditional maps can be transformed into virtual reality which can be updated and integrated with various database. 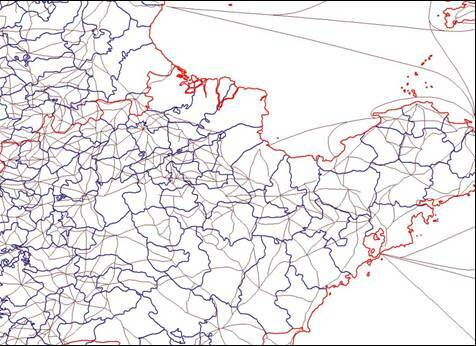 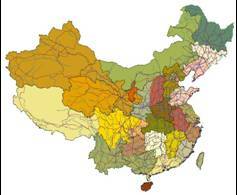 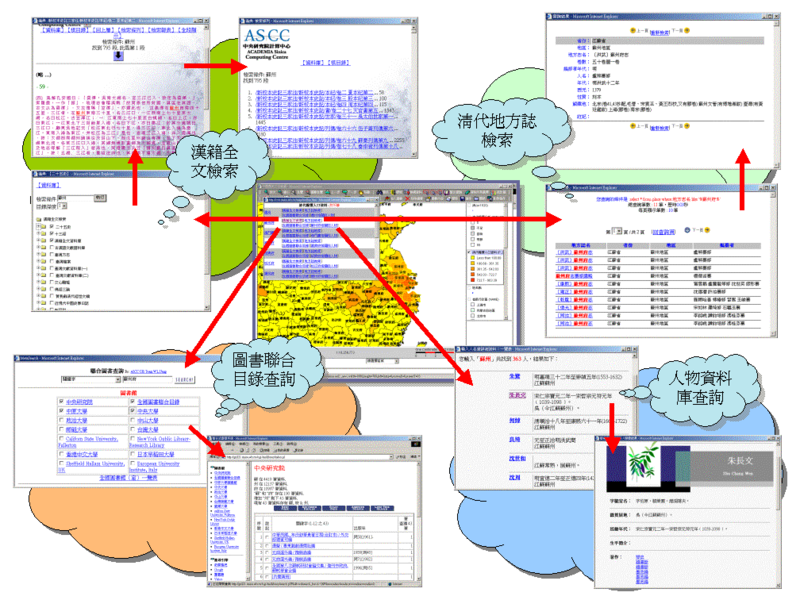 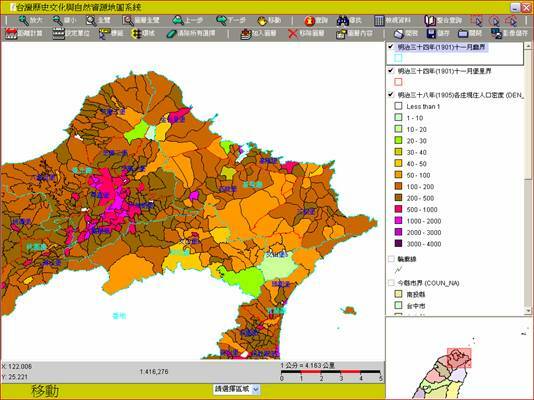 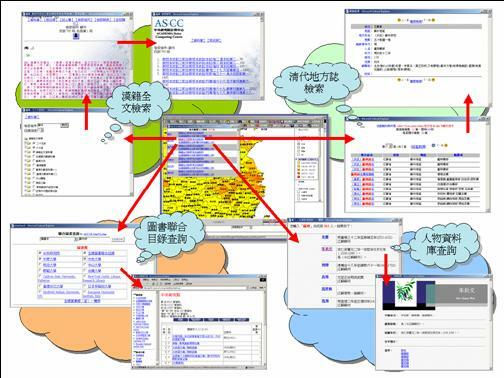 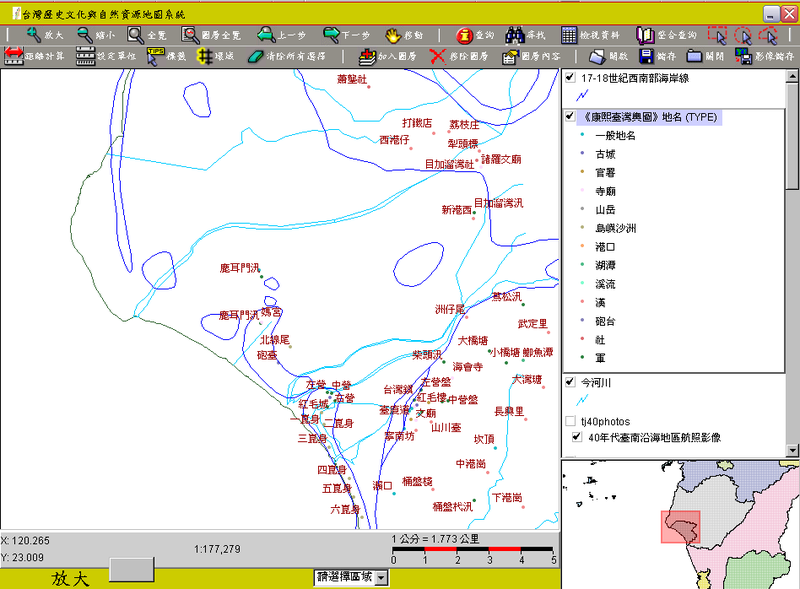 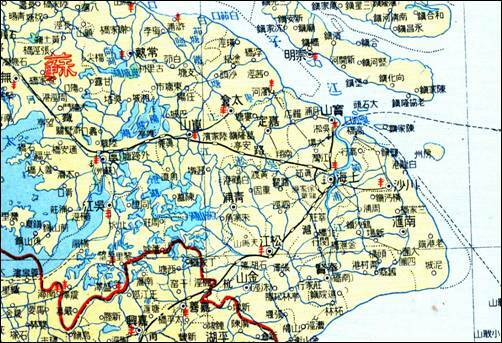 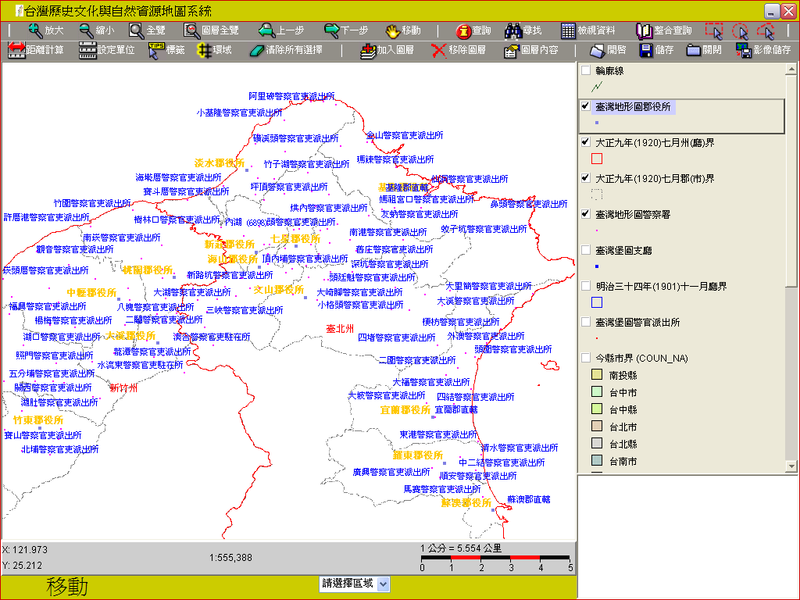 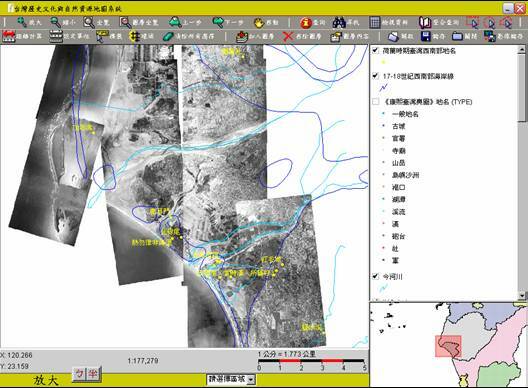 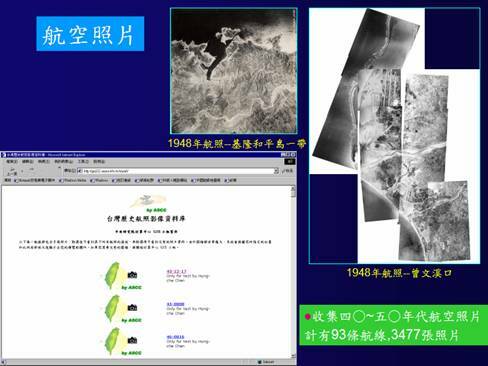 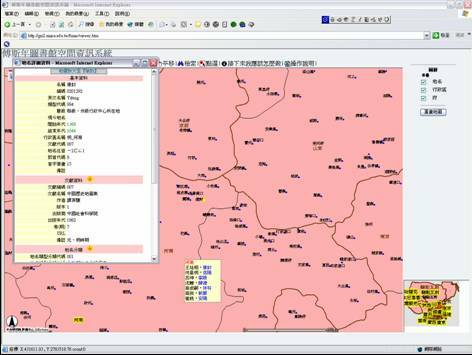 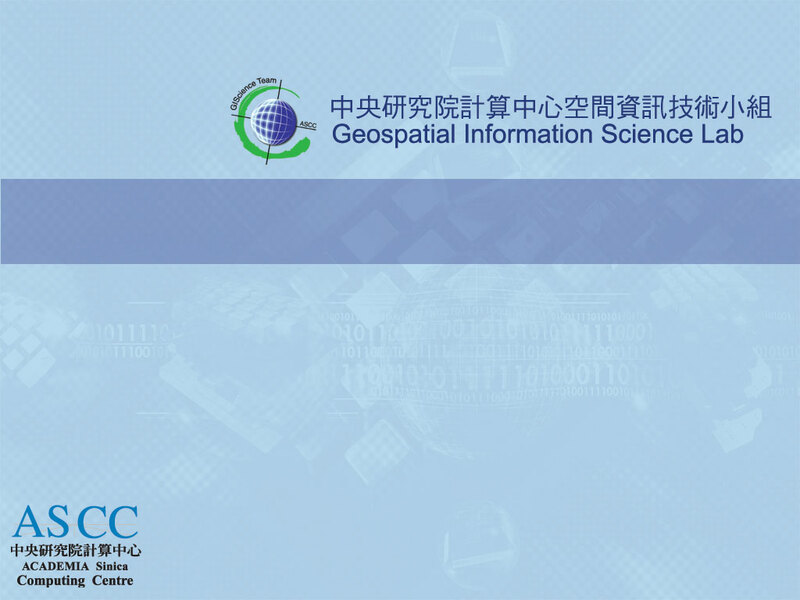 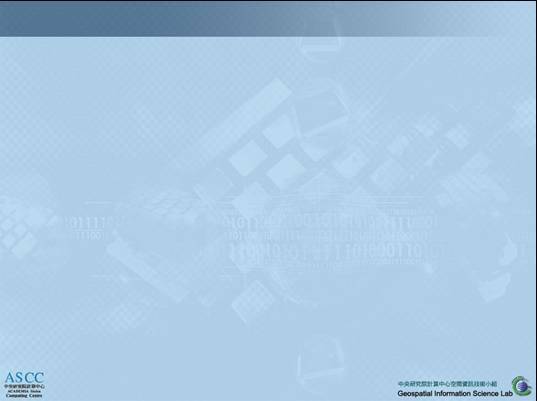 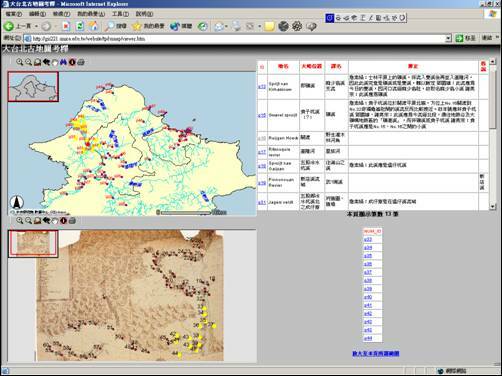 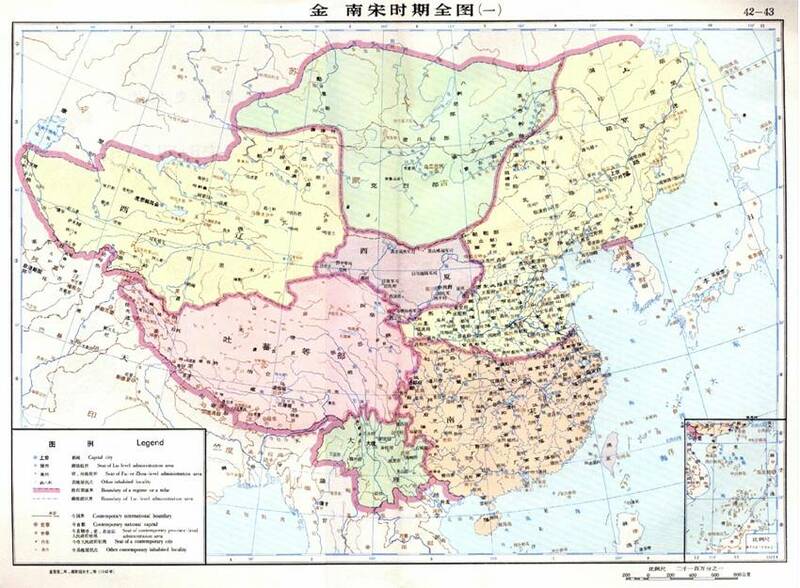 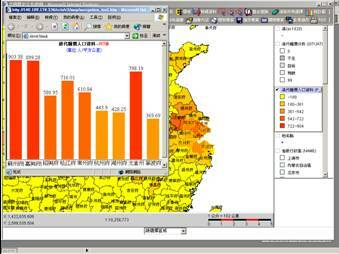 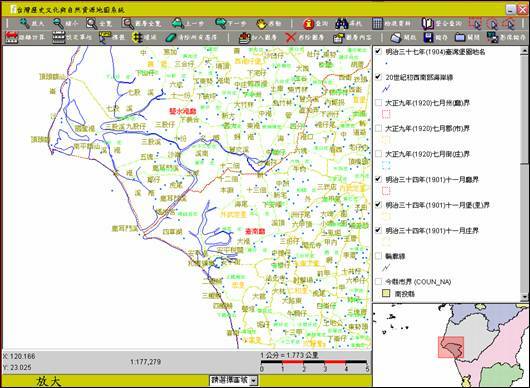 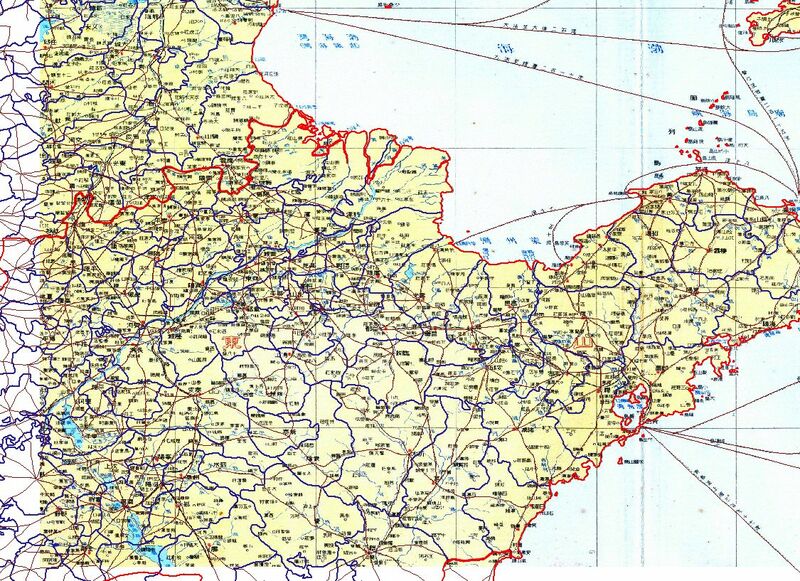 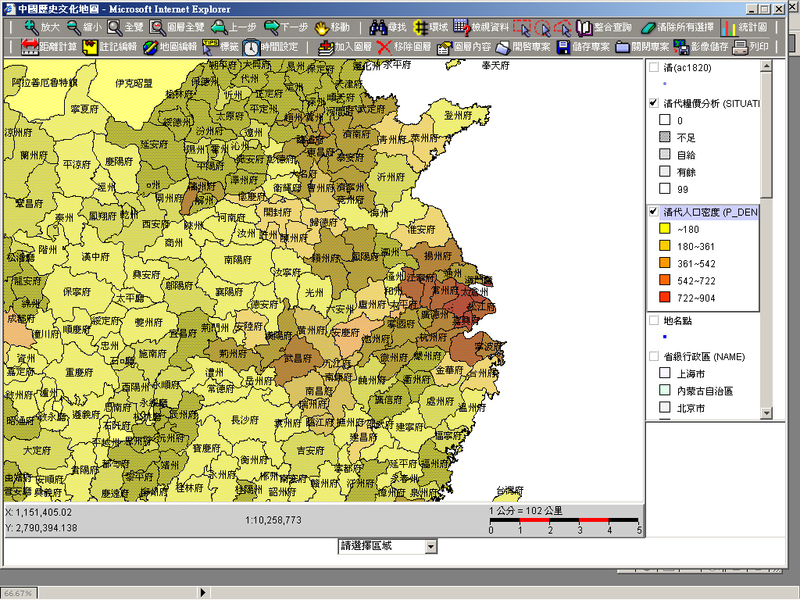 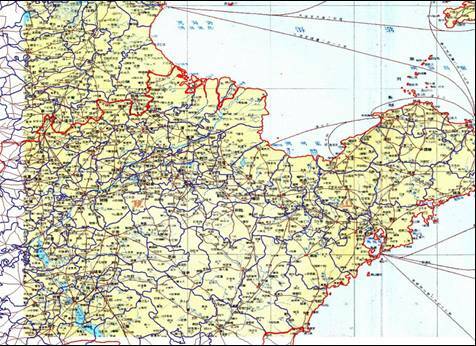 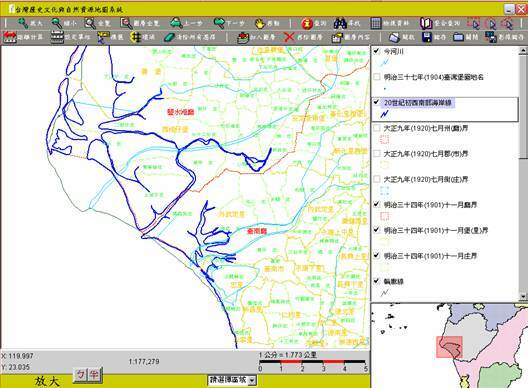 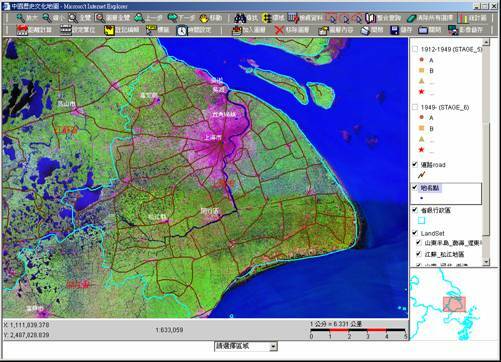 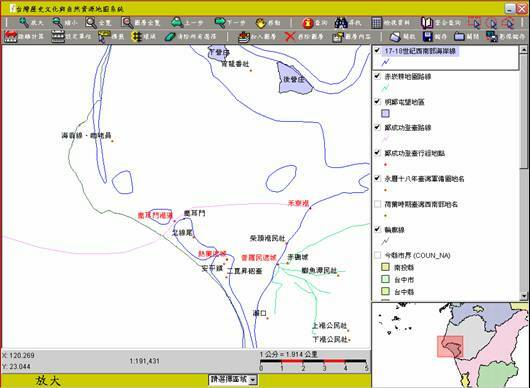 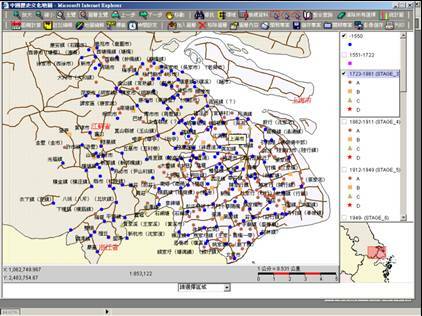 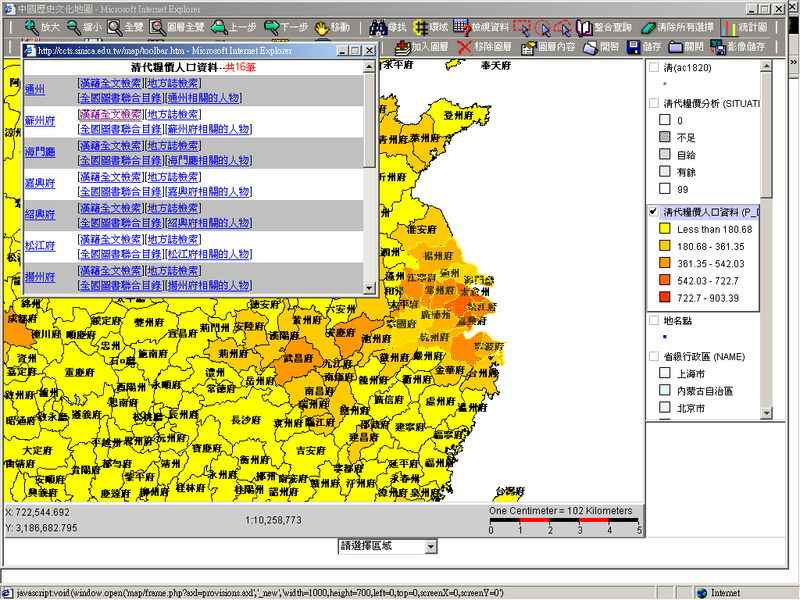 The CCTS (Chinese Civilization in Time and Space) Project which began in 1996 aims to build up a fundamental system for historical GIS and basic data of Chinese history of the past 2000 years. 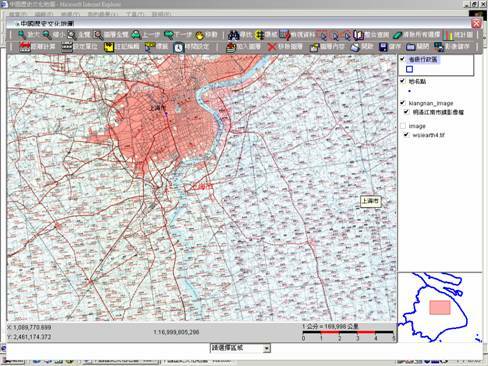 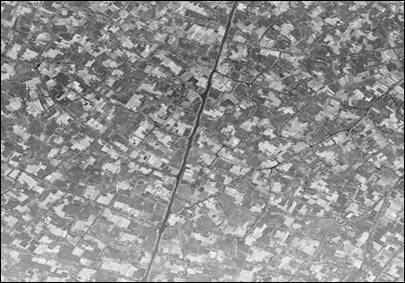 The spatial resolution is about 1:1M~10M. 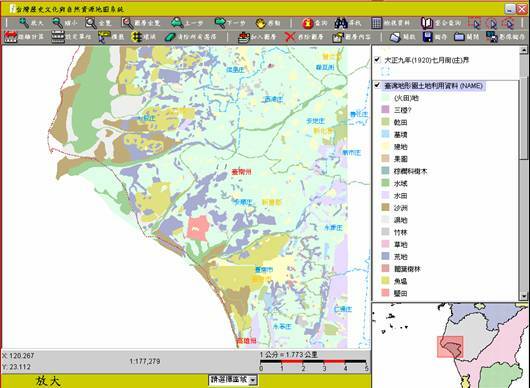 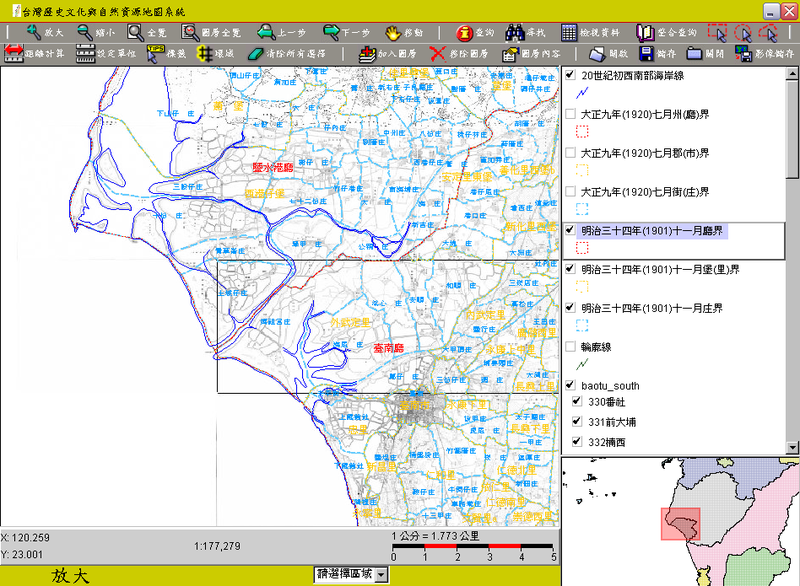 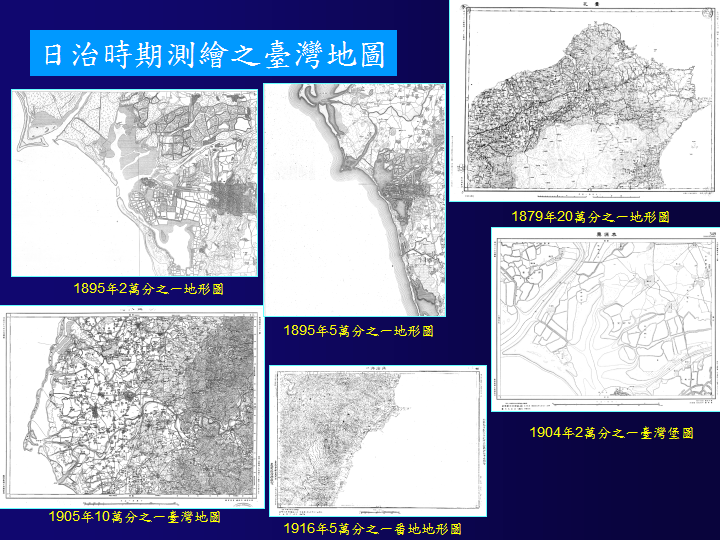 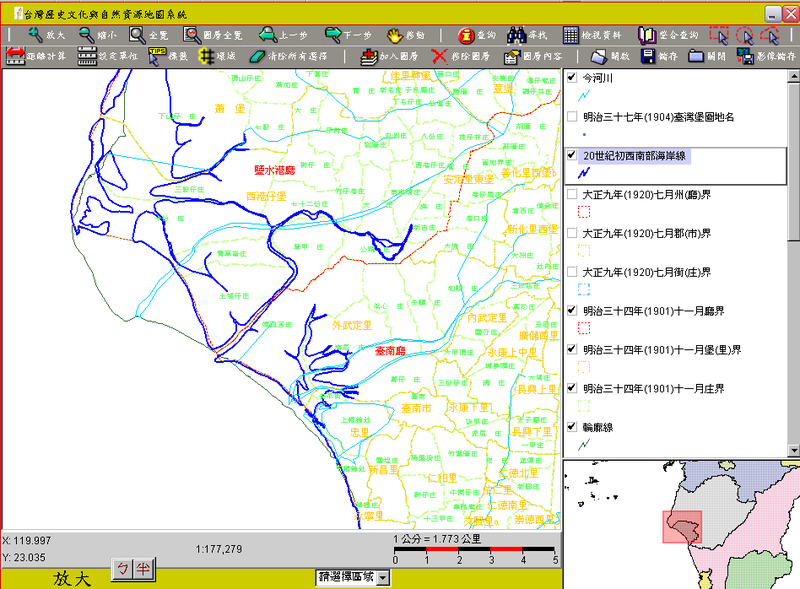 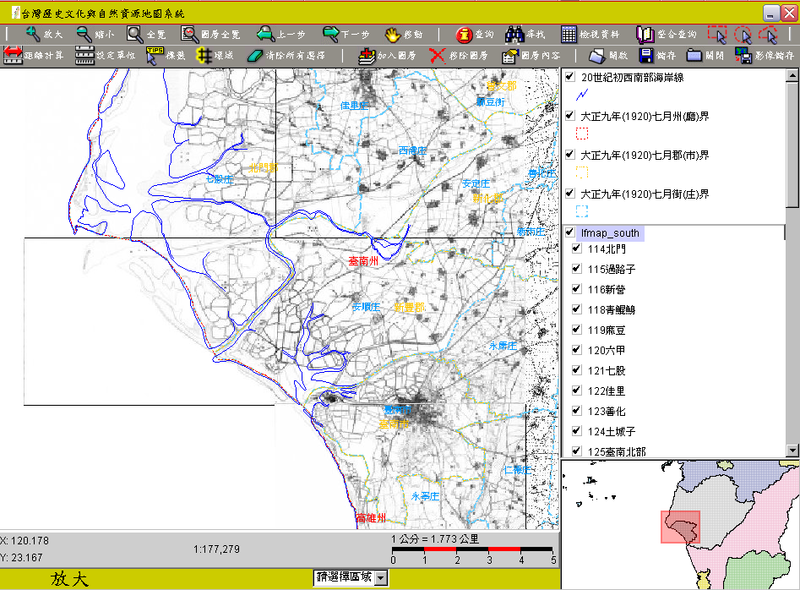 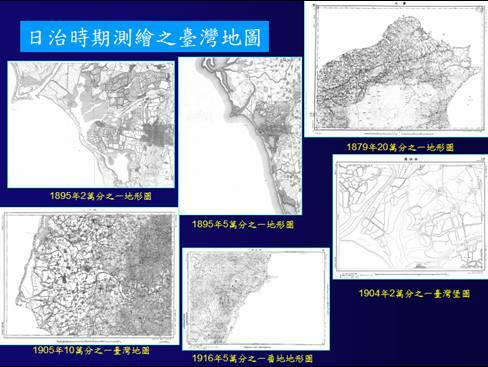 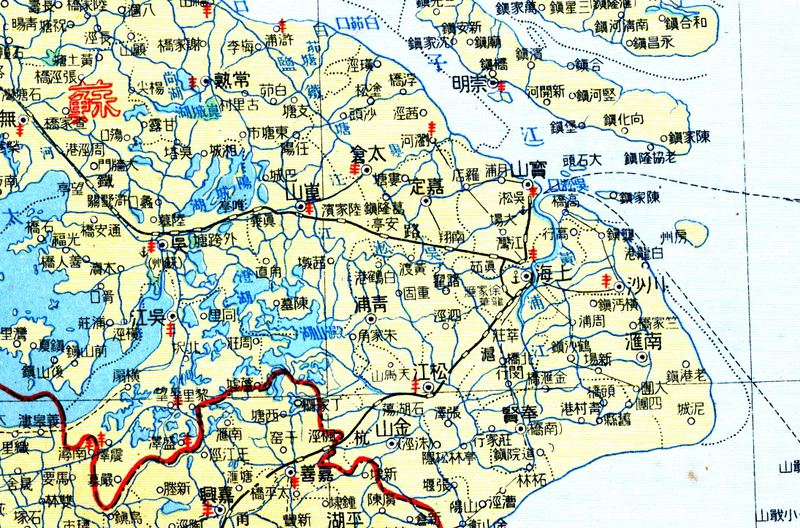 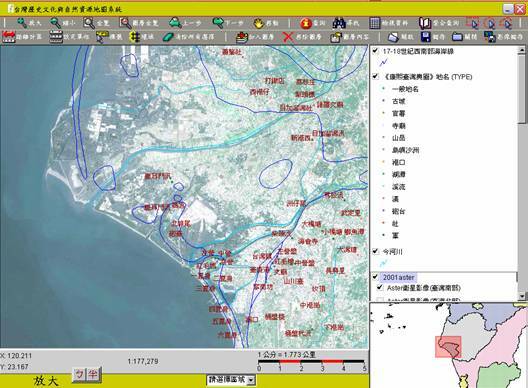 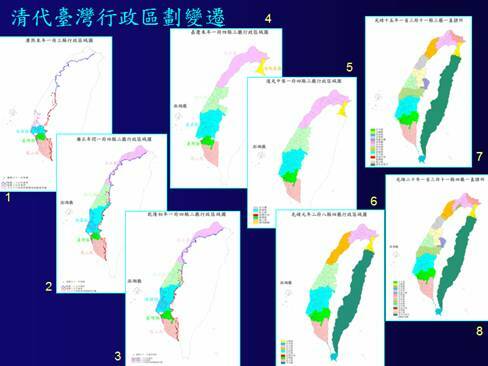 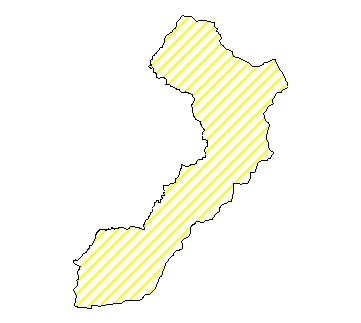 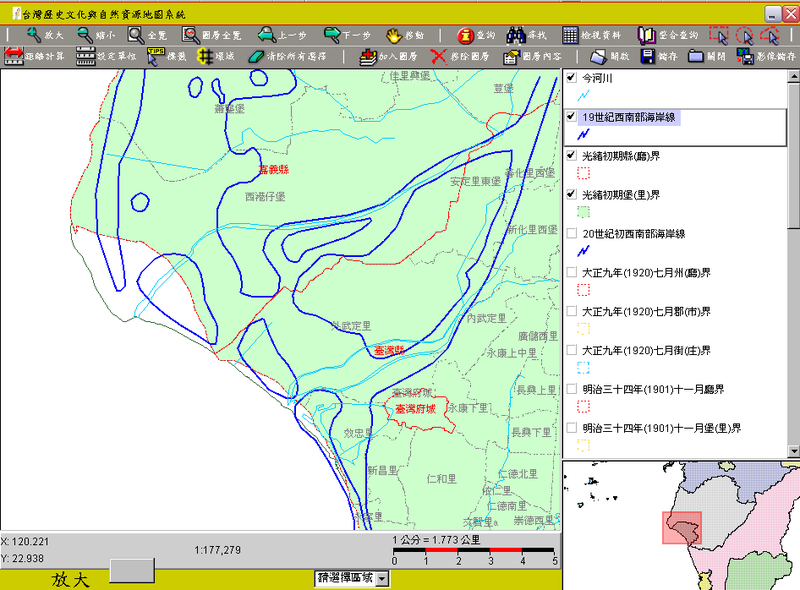 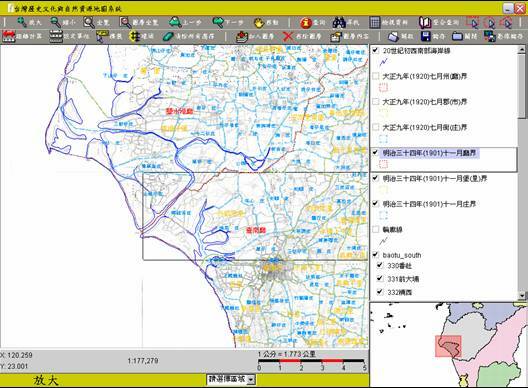 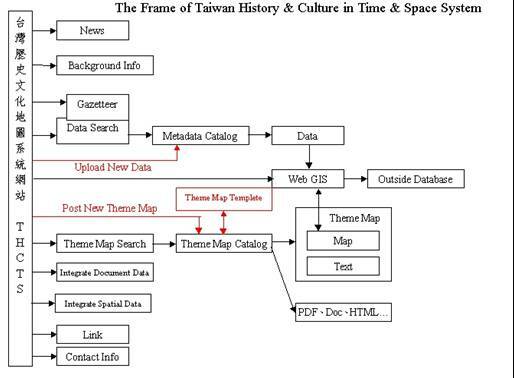 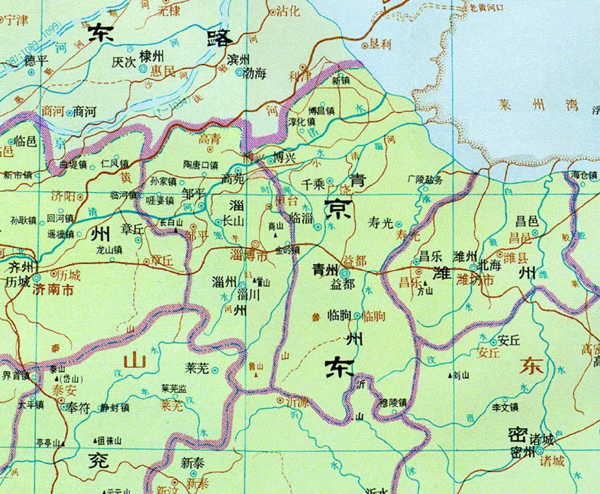 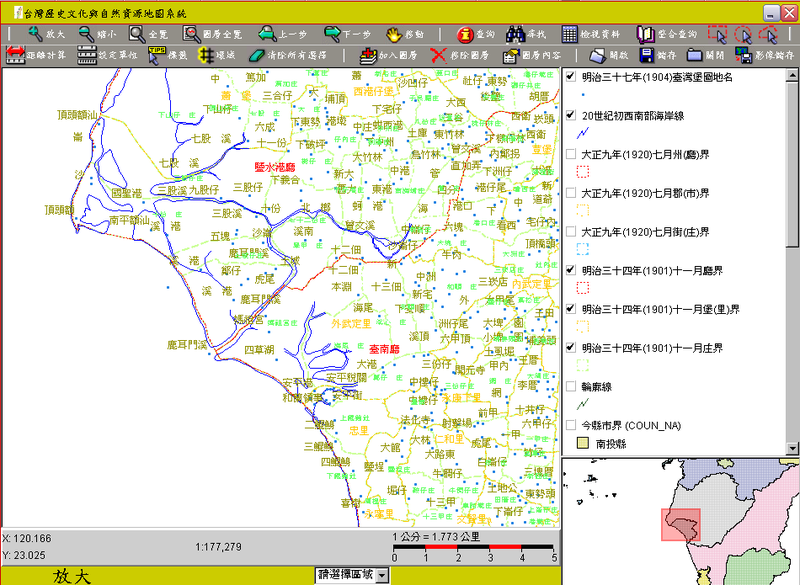 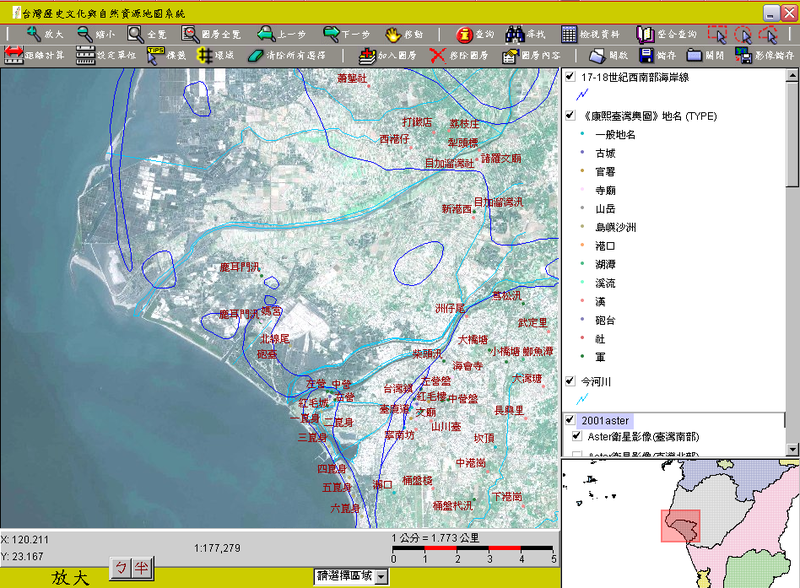 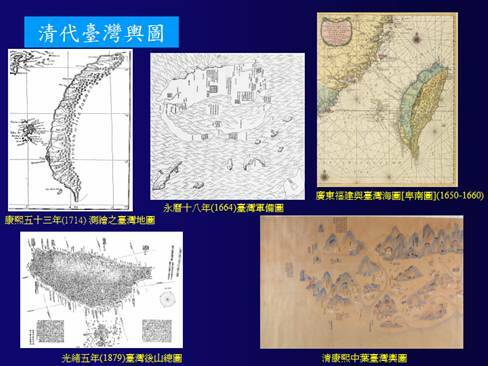 The THCTS (Taiwan History and Culture in Time and Space) Project which began in 2001 aims to develop a spatial-temporal application infrastructure on the basis of digitalized Taiwanese history, culture and natural resource maps of the past 400 years. 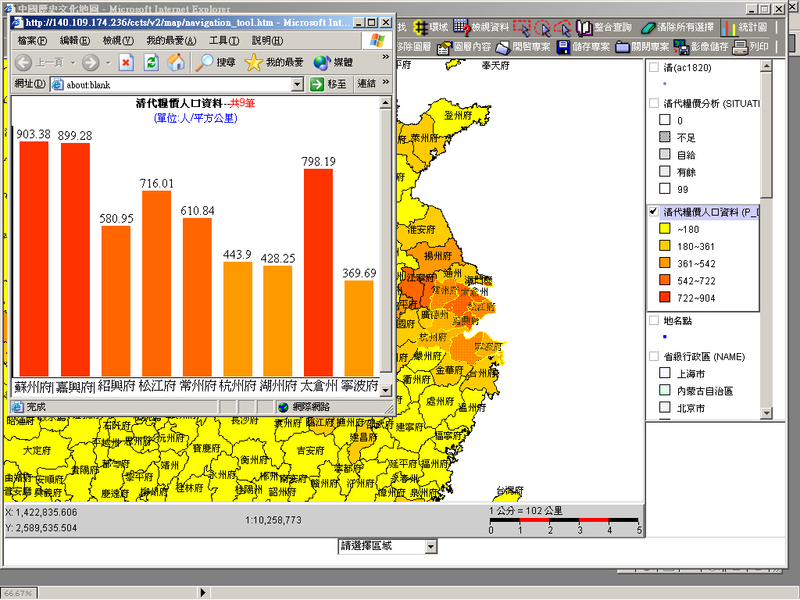 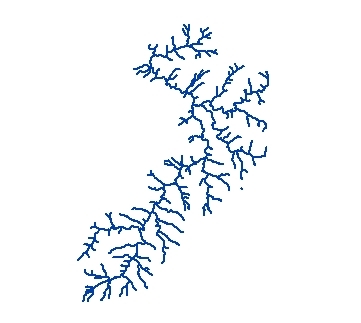 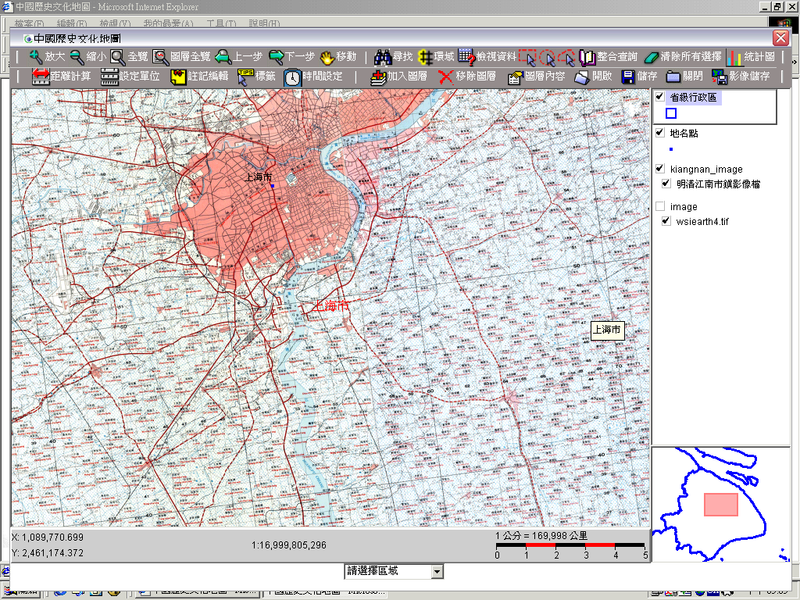 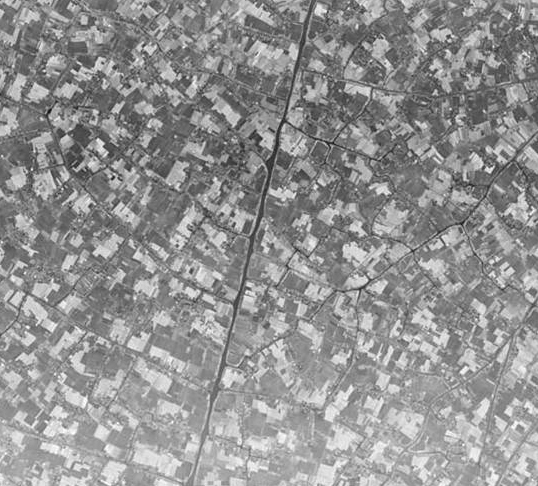 The spatial resolution is about 1:20K~100K. 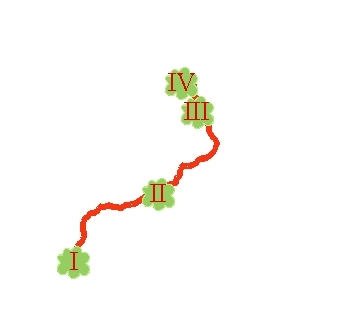 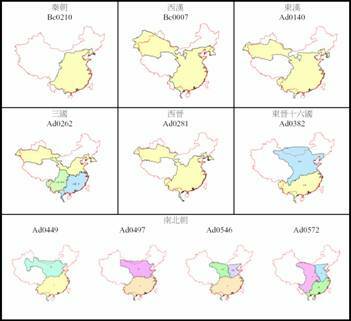 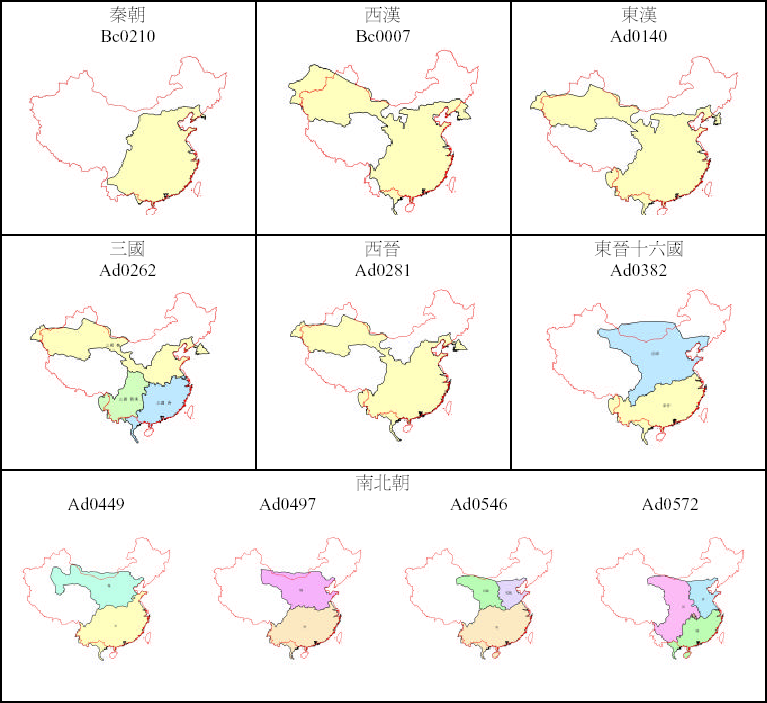 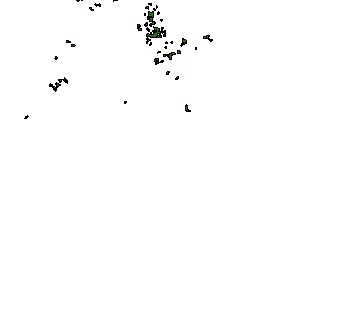 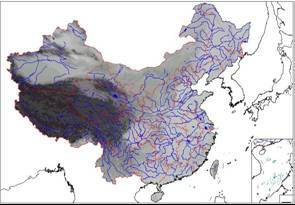 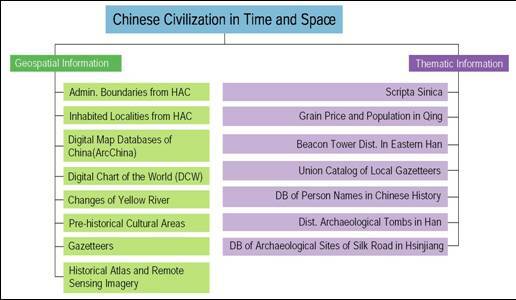 "The Basic Dataset of the..."
"Geospatial base maps of THCTS"
"Thematic Map Database of THCTS"
The CCTS (Chinese Civilization in Time and Space) Project covers a large spatial and temporal extent and builds up historic features using available historic geography study. 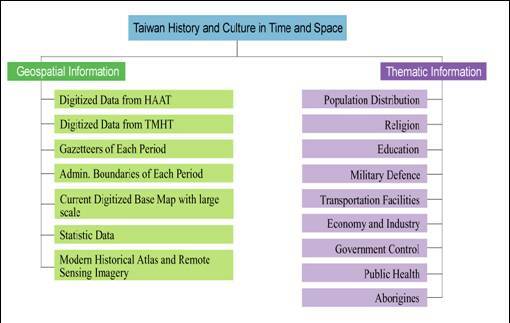 The THCTS (Taiwan History and Culture in Time and Space) Project has high spatial and temporal resolution and builds up historic features from first-hand historic studies using GIS. 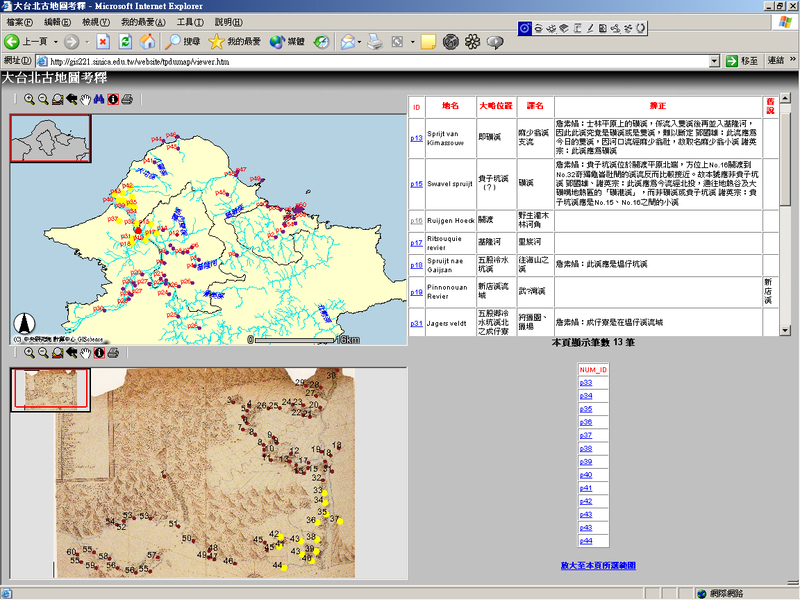 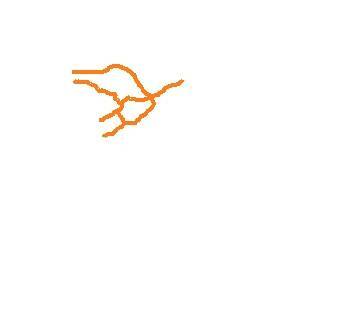 The thematic maps are distinguishing features. 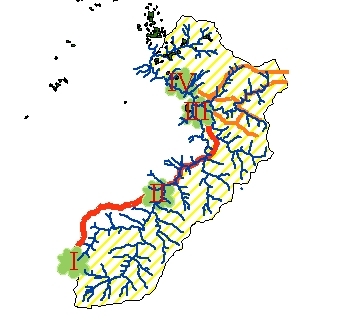 UC Berkley and Colombia Uni. 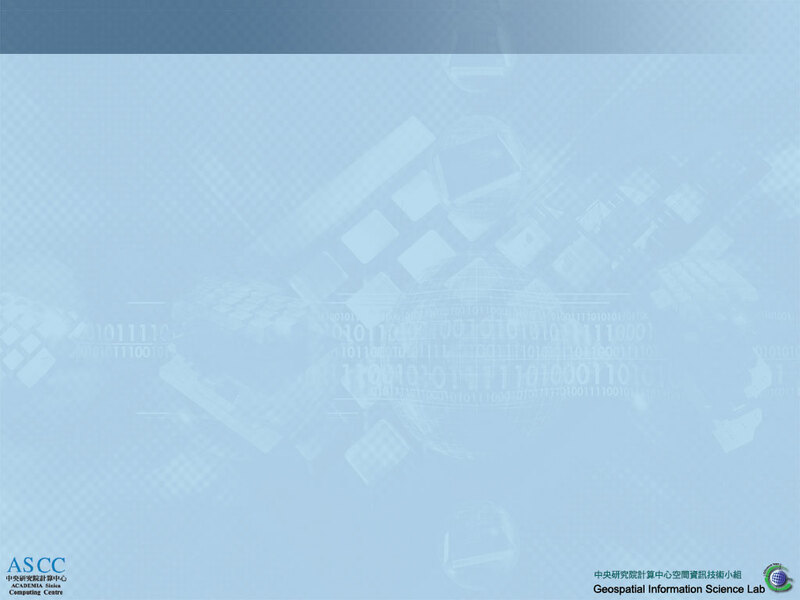 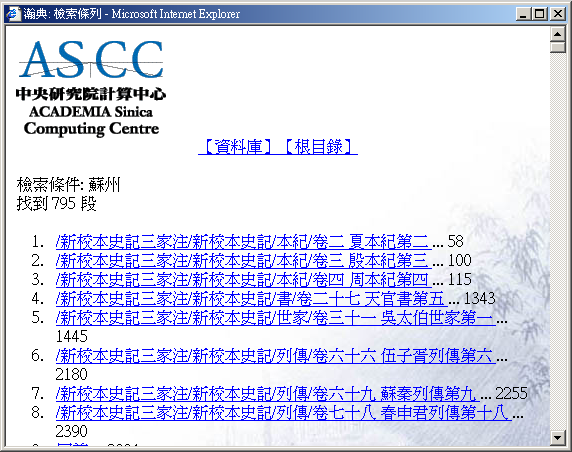 have installed CCTS. 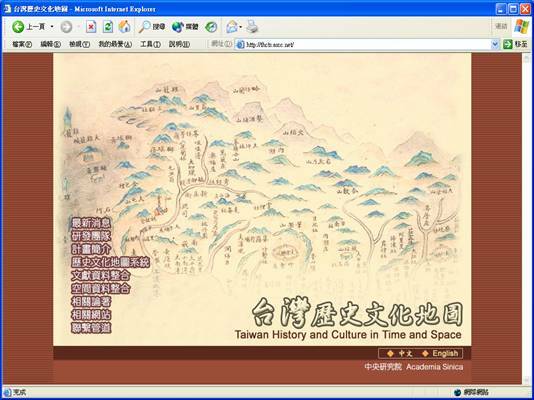 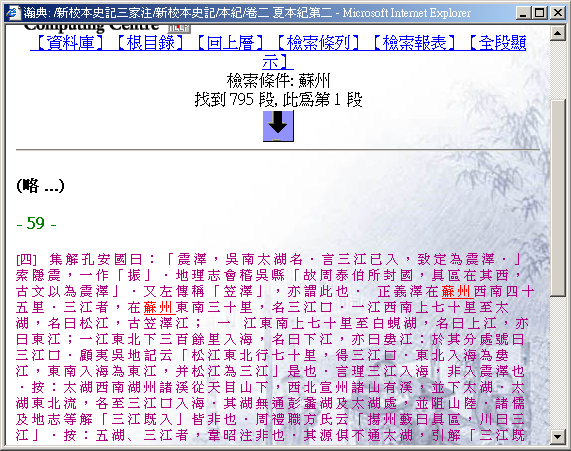 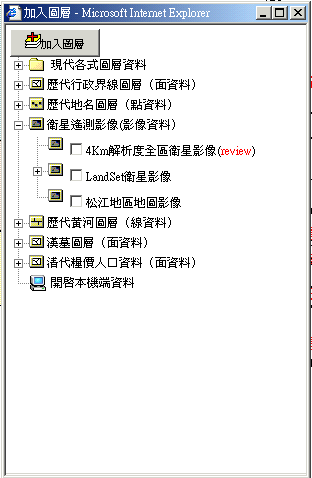 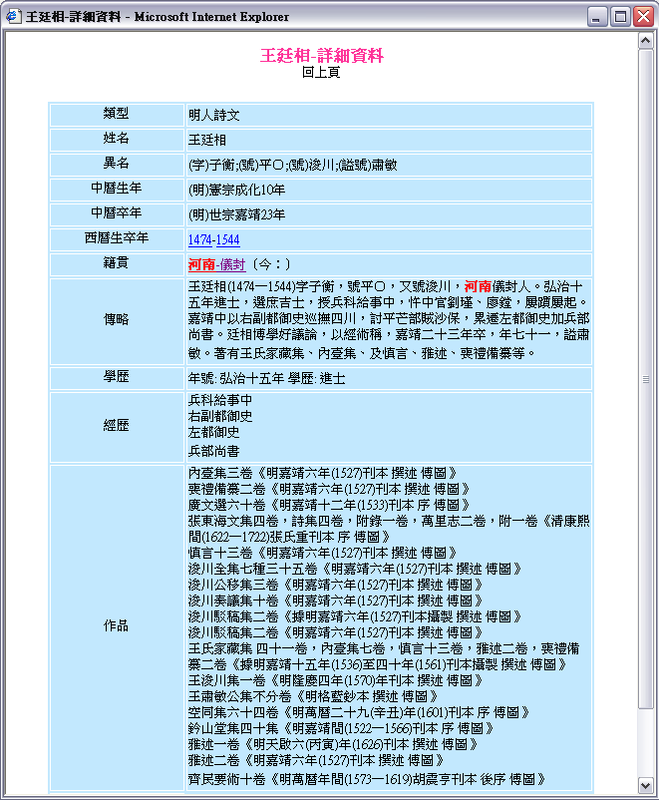 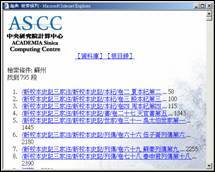 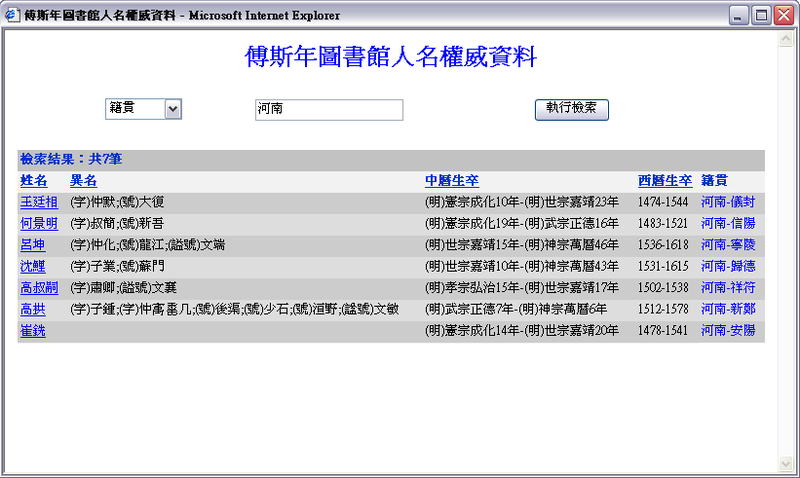 Major universities in Taiwan have been authorized access to both systems.